Simon is a Partner in Deloitte’s Strategy practice, Monitor Deloitte, with over 16 years experience in financial services and strategy consulting and is a Lead Partner for Deloitte’s Open Banking initiatives. 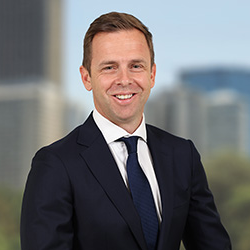 His background in Financial Services, spans retail and investment banking, insurance, superannuation and wealth management brings a unique and expert perspective to shaping Rest’s strategic plans. Simon has focused on helping financial services clients grow and adapt in the face of customer and technology driven change as well as respond to evolving regulatory challenges. As well as his work with financial services clients Simon has also led a raft of strategy and transformation work for federal regulators. Simon’s has been engaged by boards and leadership teams of Big4 and Tier2 banks to help develop their strategic response to Open Data regulation and is currently co-leading a series of major open banking programs of work. He is also engaged with the ACCC around the design and program delivery for the 3rd Party Registry, a fundamental component of the Open Banking ecosystem. Finally, Simon is also the business lead on Deloitte’s Open Banking platform as a service.